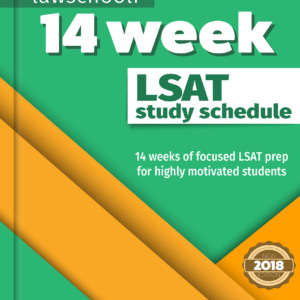 In this post we discuss the best LSAT logic games strategies learned from my own LSAT prep and my time as a professional LSAT tutor and classroom instructor. This approach helped me, and later many of my students, go from being unable to finish logic games sections to getting perfect or near perfect scores consistently on LG during simulated practice tests. Get to that point and doing it on test day is matter of routine. I ended up scoring -1 for LG on my actual test. You’ll often hear that logic games is the most learnable section of the LSAT. Learnable is not a word, but ignore that for now. Why is logic games considered so learnable? 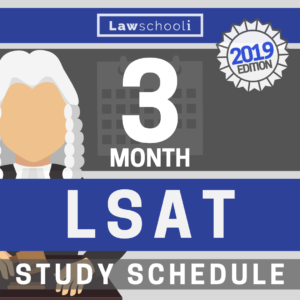 The common explanation is that, unlike the logical reasoning and reading comprehension sections, the LSAT logic games section tests mental skills that most of us have under-utilized. We read and analyze all the time, but we don’t often place campers in boats according to complicated rules. The argument then is that it’s not that hard, it just takes time and effort for you to get your own natural abilities up to speed. They are your natural abilities, you just have to get acquainted with them and, during that time, your score will improve a lot. Say you are tasked with learning how to balance a spinning plate on a stick while running. No one will know about this so it’s not uncool. Now, it’s day one of practice. What do you do first? I think nearly everyone will answer, “I would try to learn how to spin the plate first.” Ya! that makes far and away the most sense. You can learn to run later when you actually know how to balance the thing. Try running now and not only will you just break a lot of plates, you might take a long time to learn proper plate spinning technique, if you learn it at all. Logic games is a lot like that. We can worry about walking and running fast later. For now, you have to learn how to do the techniques correctly. Put speed and pressure on yourself and you are just going to interfere with that process. When you start out on LSAT logic games, strive for 100% accuracy, even if it takes a long time. Don’t even look at a clock or have one near you. As you learn to do the techniques properly, speed will build naturally. That gives us the base we need before adding time pressure later on. Check out our 3 month prep study schedule to see when you might want to add the time component. Diagramming is a method of representing LSAT LG problems to make them easier to attack. Everyone uses them. Some diagramming methods, however, are simply better than others. Kaplan, Princeton Review, Barron’s and Mcgraw-Hill are bottom-feeding companies that don’t know how to help people get high-scores on the LSAT. Perhaps where they are the worst is in their LG techniques. That’s our opinion, but it’s one Joshua and I share with every other unbiased LSAT professional. Instead go with diagramming methods from a company that started in the LSAT world and knows how to produce high scorers. If you are going to be learning through a prep course, the cheapest way to get a 100% effective course is 7Sage LSAT prep. That’s an online course. If you prefer learning in person, Powerscore, Blueprint, Testmasters, and Manhattan are all highly regarded. Joshua and I both self-studied for the LSAT. To learn logic games, we both swear by the well-known Powerscore™ Logic Games Bible. The idea of all the best logic games diagramming strategies is that they give you intuitive methods to represent all of the problems visually so you are putting the minimum strain on your brain. PR and Kaplan don’t accomplish this. Joshua and I both tried them and other junk before finally trying Powerscore. Head to head, there is no comparison. While some of the strategies that Kaplan and Princeton Review employ are fine, you won’t know what is trash and what’s essentially sound. Skip the whole painful process that I went through and start with a top quality book. The other great logic games book that you can choose for self-study is The Blueprint™ for Logic Games. It presents essentially similar diagramming methods but the book is a little more fun and it’s an easier read. This book wasn’t around when I prepped but I wouldn’t hesitate to choose it now. Whether you pick this or Powerscore will probably come down to learning style. See our full review of the Blueprint book here. Every good LSAT LG prep source will divide the games up into types. The most basic distinction is between linear (also called ordering or sequencing) games and grouping games. As you go through the books, you’ll get some drills and practice questions to help out with learning the concepts for each game type. However, that isn’t enough to master the concepts. After you learn each game type, drill it in further by going through official LSAT prep tests and finding games of that type to do. You probably want to spend at least a couple days with each game type before moving on to learn the next one. Pull these games from older preptests (1-30 in the linked list). You’ll want to save more recent tests for when you are doing timed sections and full-simulated preptests later in your prep. Doing this gives you a firm foundation on which to build as you move forward. Once you’ve finished all the chapters and have learned every game type this way, keep doing more untimed games of each type until you can complete them with close to 100% accuracy using the techniques you’ve learned. After you’ve done step 3, You are going to want to start experimenting with timing. I advise that you start off by timing individual games (there are 4 in each LG section) to get a feel for timing. Each game should take 8 minutes and 45 sections on average, however, as you’ll learn quickly, some take a lot longer than that, whereas some should take less time. When you start out, you aren’t really timing yourself. Keep a clock going while doing an individual game, note when you run over 8 mins, 45 seconds but finish the game. This is just to get a feel for timing. Once you are finishing the easier games and some of the harder ones accurately within that 8:45 seconds, it’s time to move on to doing full timed logic games sections. When this happens is different for everyone, but again, look at our full study schedule for an idea when you might want to move forward and take a step up. Throughout all this, have days where you are doing logic games until you drop. A good hard day of logic games study might mean 5 hours just spent doing games. If that sounds unbearably miserable, well, I don’t want to sound mean, but go take the GRE or some easier test instead. 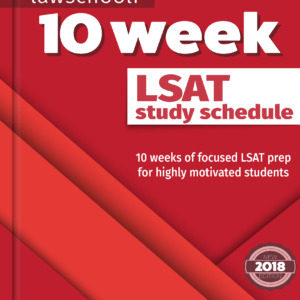 Doing a lot of practice questions is absolutely necessary when you are learning the LSAT, especially if you want to max out your logic games score. When you do a timed LG section, DO NOT simply look at the answers right away. Make that first you do any problems that you could not finish and also redo any difficult problems to make sure that you got them right. Not only that, you want to be sure to the extent possible that you used the best method to get to the answer. We have a full discussion of reviewing prep tests and questions here. With logical reasoning and reading comprehension, redoing old questions has limited value. Your brain will just remember the answer most times and circumvent the reasoning process that was required to get the answer the first time. Logic games, luckily, is a different story altogether. Usually after a month or so it will be very difficult to remember answers. Even when you do, there is value in observing again the inferences that led you to them. When you are struggling, go back and redo some games. It can really help develop awareness of patterns. If you are struggling with pace, it can also help give you a feel for correct timing: you’ll often remember how to set the game up, which will enable you do these games a little faster. That simulates what it is like to have true mastery of games to the point where you know how to set up any game quickly. Once you know what that feels like, you’ll have the confidence to get there on your own. After a month or so of prep, I would devote a few hours each week to redoing some tricky games from earlier in my prep. Do this too and you’ll build confidence and speed. We are going to be rolling out plenty more posts that deal with more specific LSAT logic games topics. Sign up for our LSAT tips and follow us on twitter @onlawschool to get more free advice. We are also here in person to help. Ask anything on any post and we will get back to you with expert advice quickly. It can be anonymous and it doesn’t have to be on topic. If you want to ask an LSAT timing question on a post about personal statements, go ahead. Put in hard work with these strategies and you will see rapid improvements. I’m glad I’ve stumbled upon your post. I just started my LSAT prep with Basic Linear games and I followed the drilling steps you listed here. I’m getting 100% accuracy but I’m still struggling with time. The Powerscore book advises you to draw a “local” diagram for each question, but I just find that consumes so much time. Linear games in which the rules just include the “before” and “after” are better since I can draw “chains” instead of “spaces.” For the games with few before/after rules or none at all, I’m forced to draw a spaced diagram on every question and write out all the possible placements. With the chains I’m able to just gauge the answer just looking at the basic diagram. There has to be a better diagramming method for the non-before/after games! I’ve only done 20 games and my record on those before/after linear games has been 6.5 minutes. The other ones take up to 10-18 minutes. It’s a discouraging considering they’re only basic linear games! Do you have an article on specifically diagramming (sorry I haven’t browsed your site thoroughly)?